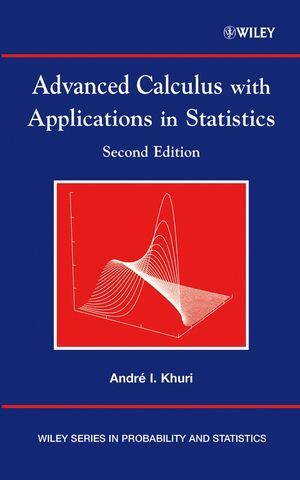 Designed to help motivate the learning of advanced calculus by demonstrating its relevance in the field of statistics, this successful text features detailed coverage of optimization techniques and their applications in statistics while introducing the reader to approximation theory. The Second Edition provides substantial new coverage of the material, including three new chapters and a large appendix that contains solutions to almost all of the exercises in the book. Applications of some of these methods in statistics are discusses. ANDRE I. KHURI, PhD, is a Professor in the Department of Statistics at the University of Florida, Gainesville. An application-oriented and appropriately rigorous introduction to the central themes of advanced calculus for statistics students, with enough theoretical explanation to be suitable for mathematics students as well. End-of-chapter applications for flexibility in use by either audience. New sections added: topology of the real line, complex numbers, additional properties of eigenvalues, some matrix inequalities, distribution of quadratic forms, tensors, and designs for General Linear Models (GLMs), among others. Solutions to selected exercises now included to encourage independent study and content reinforcement. Even more examples and exercises.